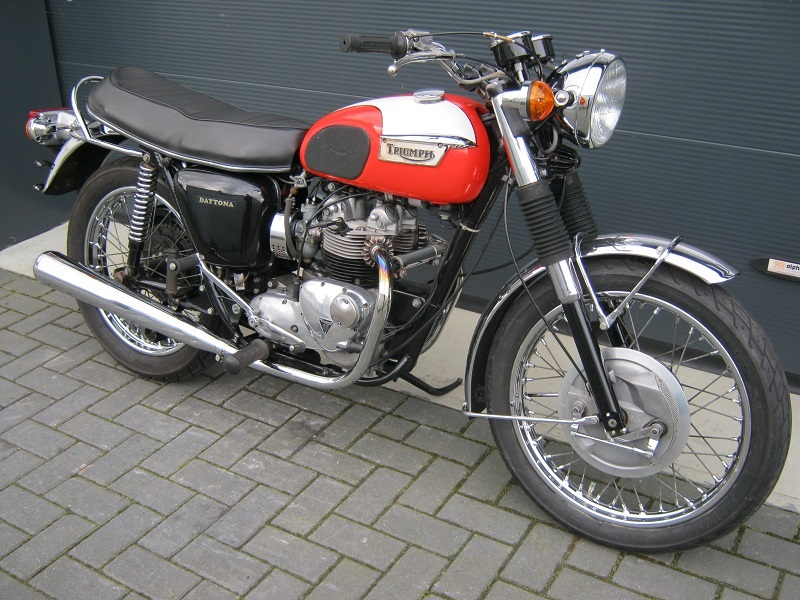 Triumph T100 Daytona from '73. In nice condition, runs and rides well and has matching numbers. With Dutch registration.